Without a doubt, Thanksgiving is my favorite holiday. There’s something about all coming together with people you love over a large meal and no other obligations aside from cooking and eating. There is no religious affiliation with it, and no gifts are needed, so it’s really just a stress free fun time and it’s something we look forward to every single year. 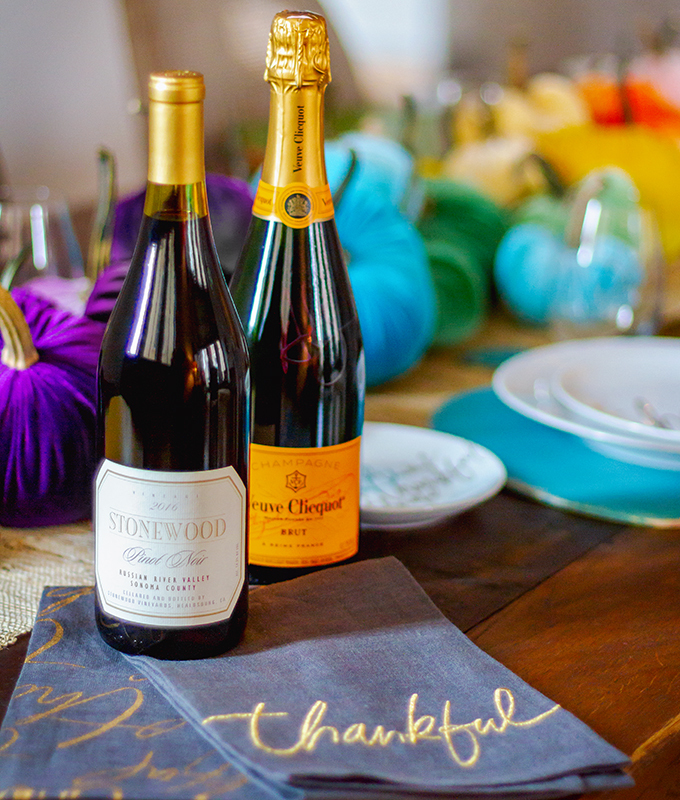 And beyond actual Thanksgiving, the idea of Friendsgiving is something we’ve certainly gotten on board with. 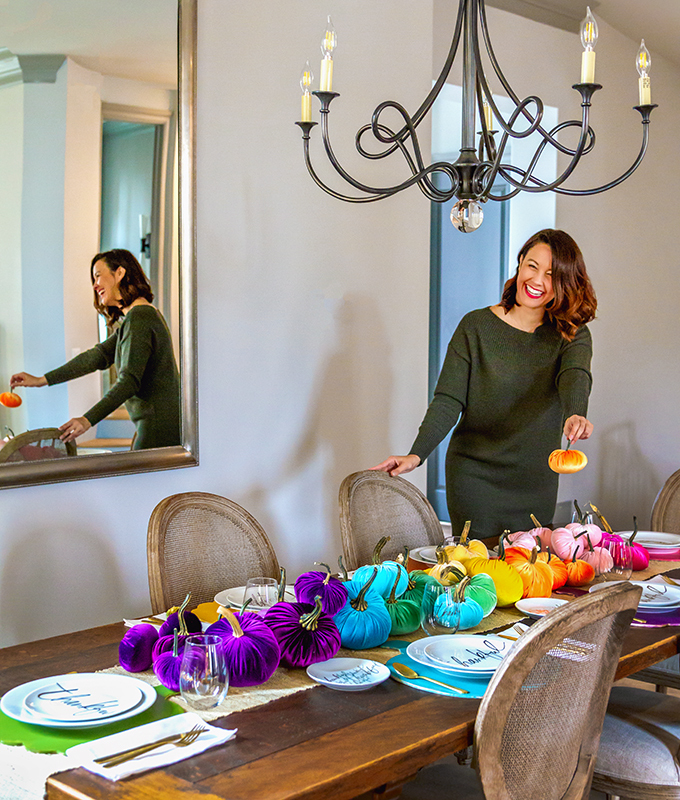 Put simply, Friendsgiving is when you celebrate Thanksgiving around the time of the actual holiday (sometimes on the day of) among friends, and oftentimes it’s less “formal” than actual Thanksgiving. 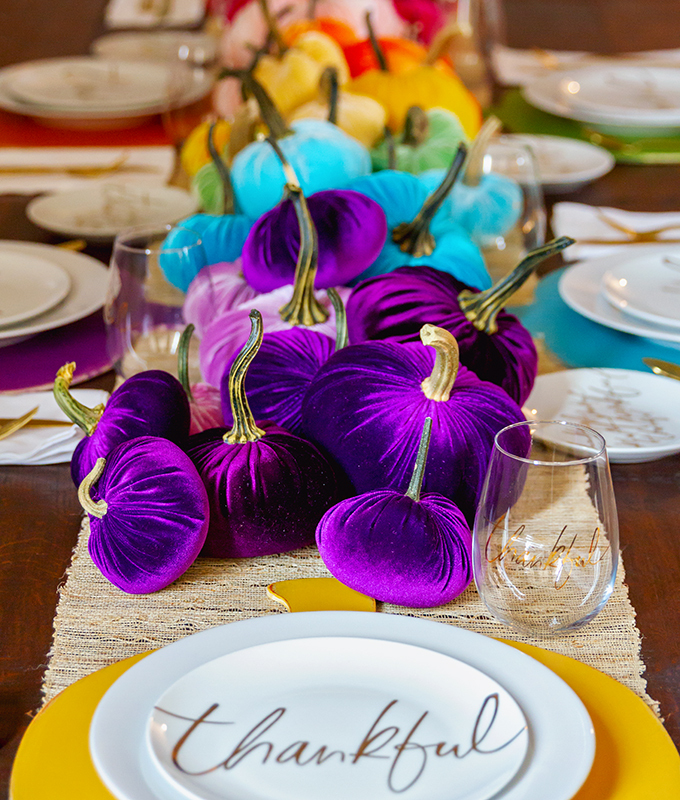 This year we went with a rainbow theme as you can see, and we were thrilled to partner with our friend Beth of Manor where all the gorgeous velvet pumpkins and colorful pumpkin placemats are from. 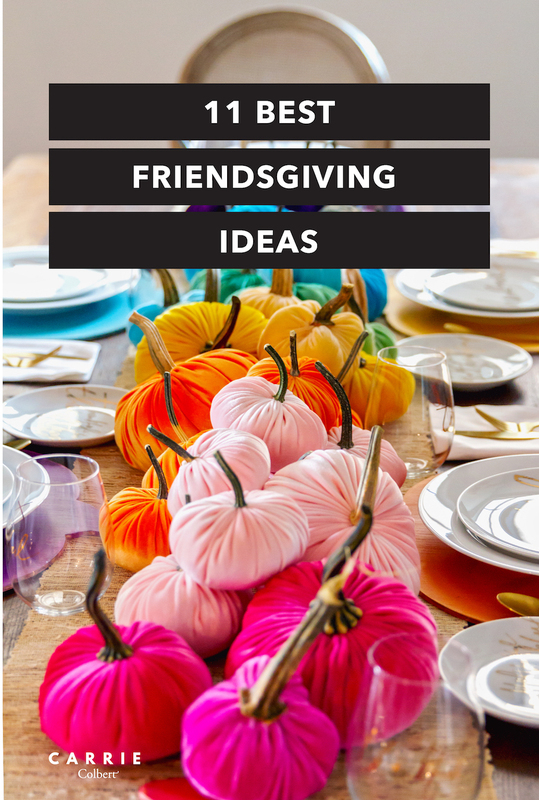 Now, keep on reading for all the best Friendsgiving ideas from us and around the Internet…theme ideas, decor ideas, and more! 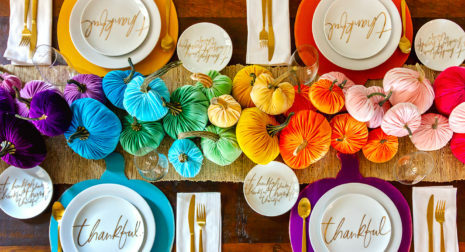 You know we love rainbows, and there’s no need to keep your Friendsgiving celebration neutral. 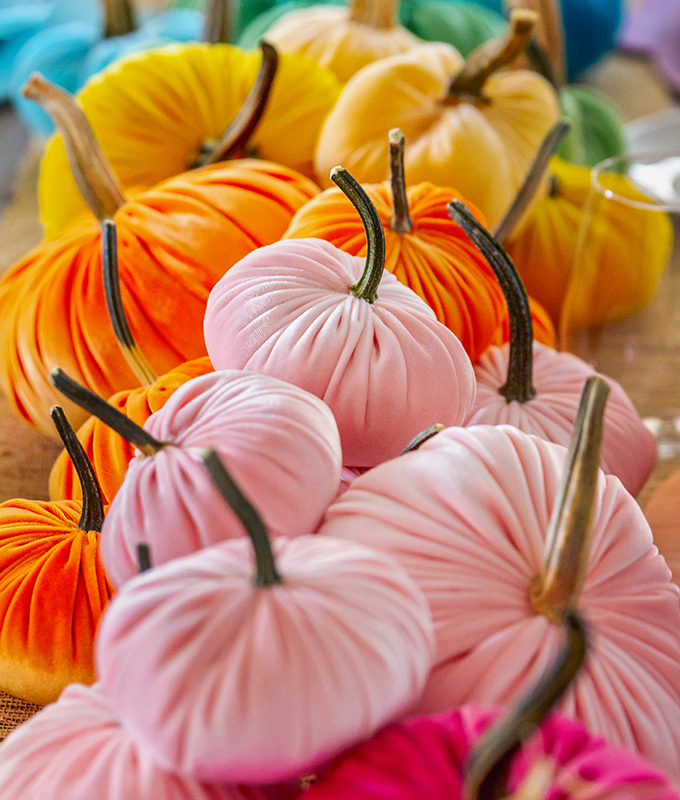 When we discovered these velvet pumpkins from Manor we knew we wanted to do something special with them. 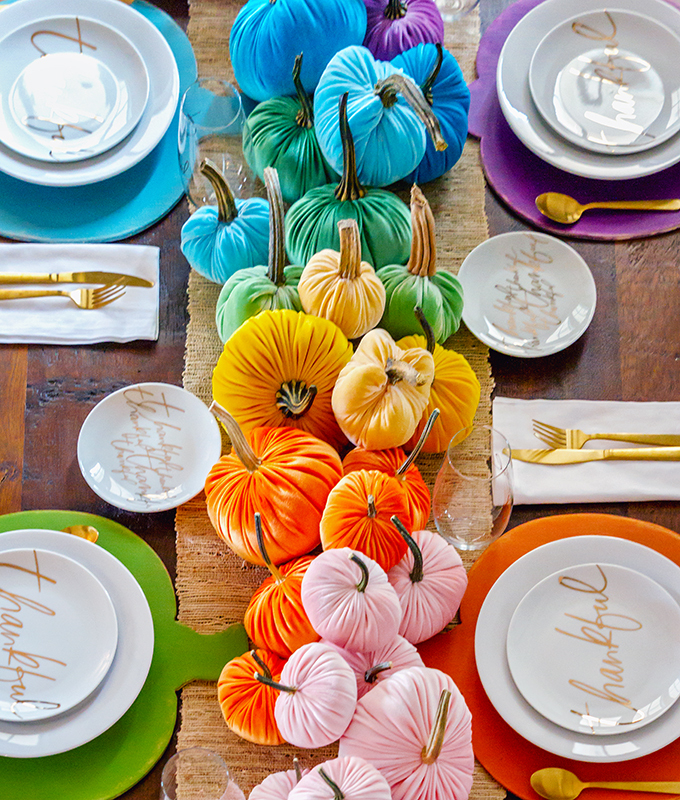 They created the perfect centerpiece for the table among coordinating colored wooden pumpkin placemats. 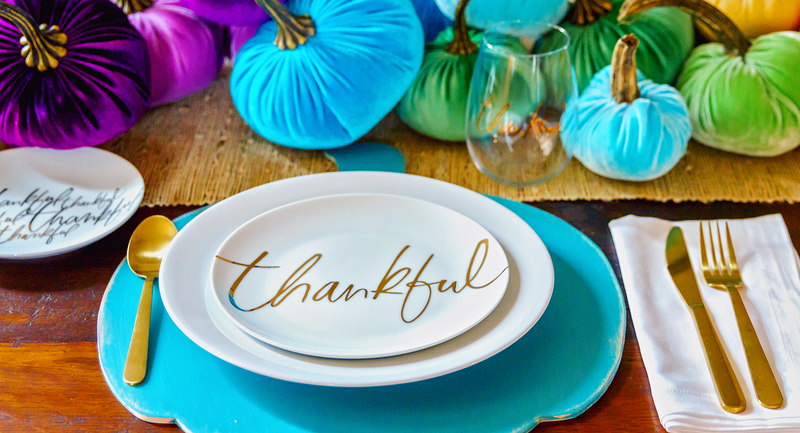 We took our first stab at Friendsgiving last year, and it was pop art inspired. Of course, there was lots of color and also many fun elements, which you can read all about here. 1. 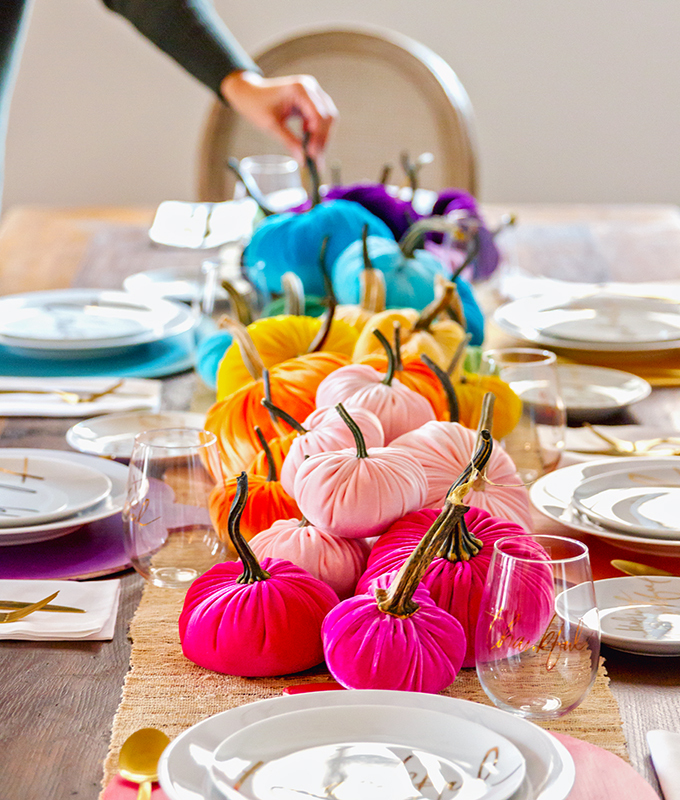 Will you be hosting or going to a Friendsgiving meal this year? If so, we’d love to hear about it in the comments below! 2. Are these cooler temperatures making you want to stock up on cozy sweaters? Make sure to check out our cozy sweater round up here. Cute party! What is the green dress you’re wearing? Thanks so much, Marci! We had fun with it. You know, it’s a couple years old and I’m not sure. Let me check! Celebrating Thanksgiving abroad and missing our annual Friendsgiving so this warms my heart and inspires me. So grateful for you Carrie! We miss you so much, Jenny!!! Thanks so much for sharing our ideas!